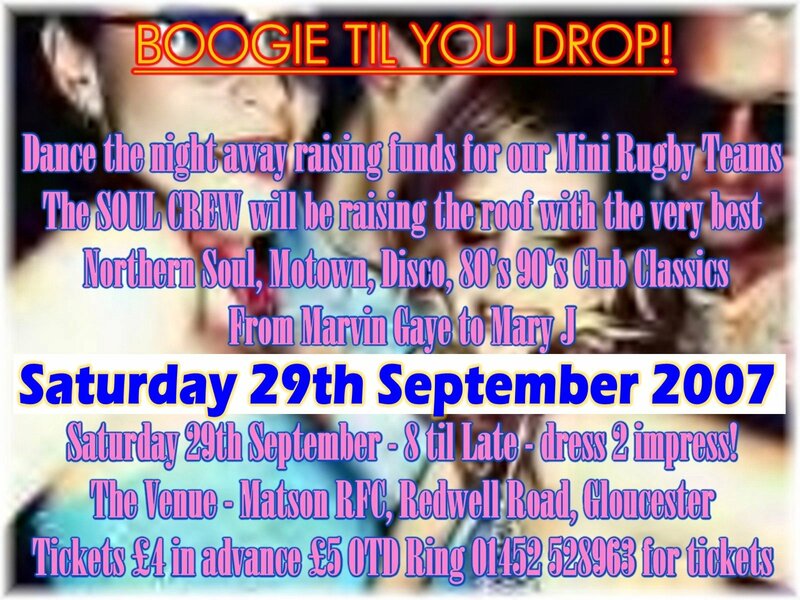 Hi All, profits from this event will go to help Matson RFC children's rugby section, so a good turnout will be welcome, we did well at the last one but I hope we can raise even more money this time. Local reprobates will be spinning all types of soul and dance music so there should be something for everyone, if you don't know the club then let me just say it is ideal for a soul nite, the dance floor is superb, drinks are cheap and they don't mind what time they stop serving! So now I'm a reprobate am I Sean!